The ASUS ROG G501 will deliver impressive gaming frame rates with a package that easily fits in your man bag. We love gaming laptops to bits. If there's one thing we hate about them though, it's the fact that they're usually really bulky (the added size is for the larger hardware they pack inside). That, gamer friends, is the new ASUS ROG G501. Measuring just 20.6mm thick, it's one of the thinnest of its kind in the world! 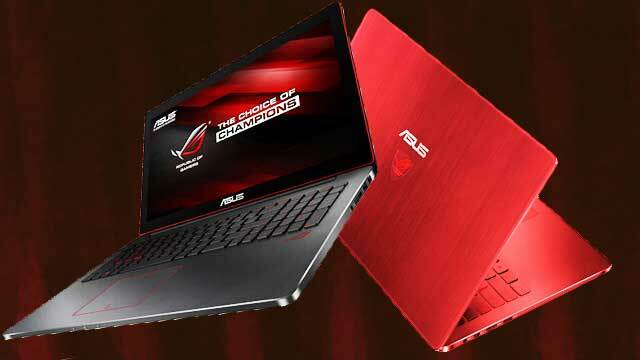 In fact, if it weren't for the in-your-face ROG (Republic of Gamers, ASUS' gaming brand) logo at the back, we would've mistaken it for a regular laptop. That specs-line pretty much says: "I'm gonna play all your games at impressive FPS rates, bud!" Now here's where our jaws unceremoniously dropped on the floor: The G501 is actually an ultra-definition laptop! This means that it allows gamers to play games, videos, and other sorts of eye-candy in a resolution four times that of Full-HD (1920 x 1080 vs. 3840 x 2160). Imagine slaying demons and raining bullets on your virtual enemies with that kind of clarity. Huwaw! The G501 is now available locally for P79,995. Expensive, yes, but what do you expect from something with that kind of hardware, right?